Fraternal Shaving Mug for the A.O.U.W. (Ancient Order of United Workmen) with their symbol of an anchor. 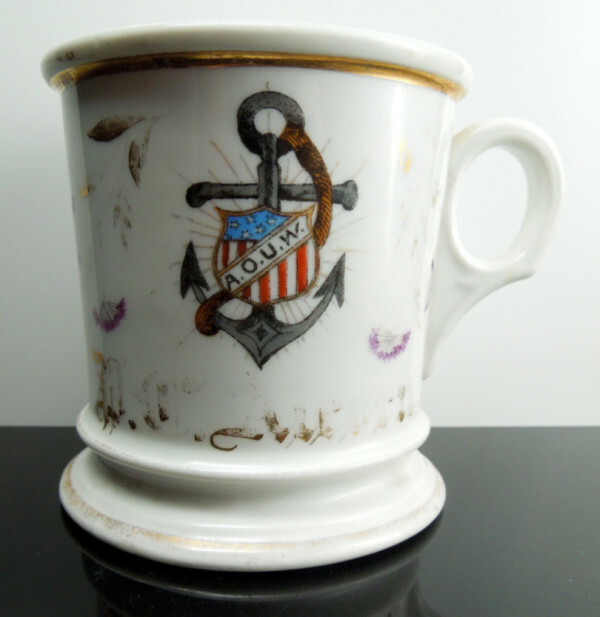 This is the standard design for the A.O.U.W., much of the gilt name and floral border have worn off of this mug.